This is the Rosetta Stone with writing in different scripts and was instrumental in deciphering Ancient Egyptian. Writing has always been a medium of human communication, a compliment to speech or spoken languages. Writing is not just a language but a tool that is used to make languages be read. It has been instrumental in keeping the history, dissemination of knowledge through the media, maintaining the culture and also the formations of the legal system. Way back in the year 1957, The Sahitya Akademi first launched Indian Literature as a half-yearly journal in English, that used to chronicle the activities of the Akademi. Now, the journal completed its 60th year in 2017. Let’s have a look at the first official English language literary journal published bi-monthly by India’s National Academy of Letters. But, why I am telling you all this? Just to show you that there were times when writing was a power and it could have changed the sultanate of any empire. But, now times have changed a lot. Video marketing has captured the digital world. In the controversy of Video Marketing Vs Written Content, digital marketers are focussing more on video marketing than written content. If you are a believer in the power of content writing, then I am sure might be very well aware of the advantages of video marketing and believe me you are not alone. According to a survey in 2018 by Wyzowl, approx.81% of the businesses are already using video marketing tool. Around 80% of all internet traffic will be video by 2019- According to the oft-quoted statistic from Cisco. Though video content seems to be on the rise, yet the demand for written content for marketing is higher than ever before. There is no doubt that video content may possess numerous benefits, but at the same time, the written words allow for more nuance and elaboration. Why Businesses Are Using Video Marketing? Let me tell you this in detail. There are so many reasons why to love video content, and take it is a key component of your content marketing strategy. I am sharing a video with you. Just have a look at it. This video from Neil Patel (world’s best blogger) on Video Marketing tips is really engaging. The video has got around some 71k views, 190K subscribers etc. Exactly what I am saying is, if a video is of engaging nature, there is no doubt that it will attract a lot of traffic and which in turn will increase the sales. Well, video content garners more clicks, more traffic, more sales when compared to the written content. 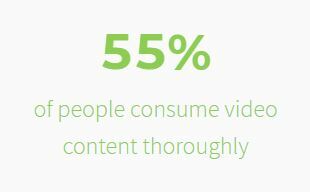 This is why more and more companies are adopting video-first content making strategies. A statistics by thought cast says that-approx. 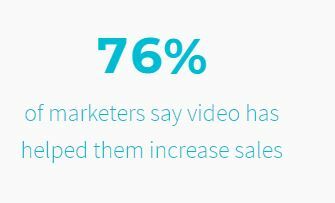 76% of marketers say that the video has helped them increase sales. But, you have to be aware of the fact that only engagement will not bring traffic to the video. I mean to say that, your video should take less buff time. When a video stops to re-buffer 21.6% of the people including me will stop watching it. And the statistics say if it will re-buffer twice, around 61% of the audience will actually abandon the video only. And after the third time, approx. 85% of the audience will stop watching it- A statistics by LimeLight Networks. So, watching consumer behaviour is also important to increase traffic and sales, because they are the only source for your website. The second reason, it says the audience, at least the marketers, who usually focus on bottom-line results, video content gives a good Return On Investment (ROI), in order to validate the content marketing efforts of the marketers. But, after reading the above don’t forget, this does not mean written content doesn’t have its own place. Well, the place of written content will always be there in well-rounded content marketing strategies. So, guys, I think it’s time now to talk about Video Marketing Vs Written Content. Content developers and marketing agencies have to figure out the appropriate time as to when to create written content and when there is a need to create a video. There are a time and a place for video marketing and also a place for written content for content marketing. Each of them has its own unique preferences. But, I know, more often than not, our audience is going to opt for video marketing only. Though video and written content are available on the same page, approx. 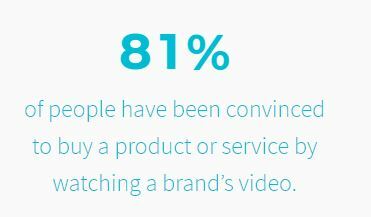 81% of the people are convinced to buy a product or a service only by watching a video of a brand. 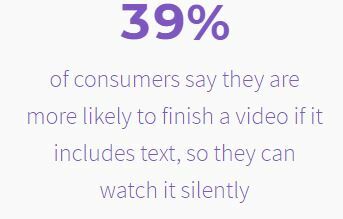 And around 72% of the people would rather use video to learn about a product or service. This means when you give your customers options for the way they consume your content is considered as a very good marketing practice. Video transcripts and subtitles is an easy and quick way so that the visitors get the ability to watch video content basically in written form. They should be able to stumble up the content while they are in a queue at the coffee shop or when they are willing to read something. This has been proved by statistics by Animoto. Well, video marketing can also be used to give an SEO boost and engagement to your existing blogs which had posted earlier, landing pages as well, and even to other key points along with your buyer’s journey. Because white papers and e-books are the most common ones. When there are so many options available these with so many content types, choosing the best type is a very complicated task. 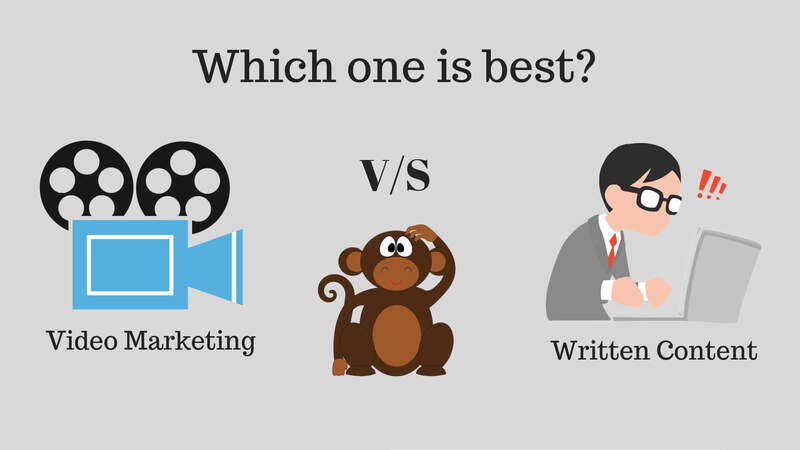 Here, the debate on video marketing vs written content starts. But one of the biggest trends is “Video”. Guys, I know there might be many questions around your marketing world. How to make out which video content to produce? How will you know if video marketing is right for your prospects? And, how will you come to know, how much to invest in a video? And, how should you get started with video marketing? Ok, there are certain video marketing tips, I would like to put in your wallet. In the battle of video marketing Vs written content, this might sound obvious that the video also works amazingly well when we are taking of visual concepts. It can be a demo of the product which you can show or the video of the customers who want to talk about your business. There might be new applications which you would like to share with your audience. Or maybe the concepts which need to be diagrammatically presented can be shown- these all make some sense for videos. See, you can apply video to every type of content you are creating. The only thing which you have to make sure is you should be clear in your objectives, on which the video has been created. You must note that delivering your content for the benefit of your customers will be smarter, more effective and efficient way, rather promoting your personal brands. Just watch these two videos. The former video is based on the brand promise of a famous Fairness Cream, which bets on making you fair like milk in some days. The latter video is based on the facts behind this famous cream. This video is actually for the benefit of the customers. I would request you to please watch both videos of Fair and Lovely and decide which will benefit you- the former one or the latter one. Videos are not created to the enjoyment; rather they should convey some important message to the audience. That means we are creating a video to produce results. Views, shares, likes or conversions are not the only motive of creating a video, but it should generate leads for your sales team, should drive more traffic, new customers, more and more visitors to your website, and even new cross-sell as well as new upsell opportunities from your existing customers. In a video statistics 2018, it shows that around 55% of the people consume content thoroughly. To keep this number intact, it is necessary to set up goals and objectives for the videos in advance. You should track the performance of your video on weekly basis, and make decisions based on that. You should have the ability to decide which content to place where, when and which content to share and which content to deploy, in order to get that big win. This is one of the important steps in the process. You should understand if your personas are tuned into or comfortable with videos or not. See, if you have to sell the content to engineers’, scientists, or accountants, then it’s your duty to persuade them as to why a written content be more beneficial to them than the videos. We know that many people do their morning breakfast while reading the newspaper. For them, the written content is needed. Research shows that around 65% of the population consists of visual learners. This is the reason you should make sure that some of your content should be video. But the biggest argument in the video marketing Vs written content is the efficiency which is linked with delivering your story as well as your message. Then at this time, you have to differentiate between “Show Vs Tell”. The reason is it is easier to tell a story visually to get them emotionally engaged than to write the same story and gain the same kind of emotions. Just think if I will tell you the same story in writing, the emotions will not be the same. If you are determined and looking for your video content to become a crowded space soon, then you should approach a contrarian approach. That means, you should not create short videos or one-off videos like everybody else is doing, rather you should start thinking about the videos that might be similar to Netflix. Netflix thinks entirely different about its content strategy. Well, binge-worthy videos mean you have a season which is full of worthy videos. The videos are available at the same time and are linked together as part of a series. These videos should be so compelling enough to attract people to watch the entire season in one sitting. Just like “Games of Thrones”. I am sure everybody is aware of this. Oh! I love the starting or we can say numbering. And the series is compelling and very interesting. So, just like this, take adequate time to develop a big story, then break the story into episodes, plan the episodes, so that they can be linked together and then the entire season is built out of video content. You can grab the opportunity to attract new people, these new people can be converted into leads by using the content, and these leads, in turn, can be converted into sales opportunities and then make them quickly become customers. I have tried to make you understand the difference between video marketing as a new trend Vs written content and its importance. Information on written content can get from anywhere. But, I have focussed on video marketing and what all things you should take care of. So, you should be careful while using video marketing Vs written content. You need to know where video content is going to have a greater impact. Get the video content needs and capabilities assessment done, in order to determine what videos and how many videos are required to achieve your marketing objectives. I am not suggesting you should do more content. I am suggesting that if your prospects want to digest their content through the videos, then you should be creative enough to provide them with your content marketing abilities. This can be done better by balancing your visual and written content efforts. This is all from my side on video marketing Vs written content. I hope you have found the article on video marketing Vs written content worthy. Hope to see you soon with new articles in the league, till then stay tuned to digitaldhairya.com. For more queries please leave a comment. As always we will get back to you. Nice Article & Interesting. Will try to implement it.